Wayne Ellington founded the choir in 2006 and continues to lead and direct. He demonstrates his commitment every week. Their reputation centres them as The North West Premier Community Choir - due to their unique and dynamic sound which demonstrates the compelling energy and flair of the North West UK corridor. 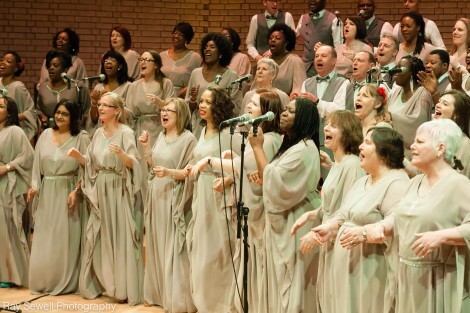 Under Wayne's direction the singers have learnt to connect mind, body soul and voice which has inspired them to express singing with confidence, freedom and joy. The choir rehearses throughout each year holding their own concerts, travelling around the UK and Internationally to perform at all kind of events. Wayne has a particular way of teaching and provides a very safe space for new comers and singers at every level to explore and enjoy singing. We continue to celebrate and facilitate the fruits of Christian faith around the UK, Europe and internationally to live gospel beyond doubt.